Ardèche, a multi-faceted, touristic department located in the south-east of France, is located in the Rhône-Alpes region, near Provence and the Rhone Valley. It offers a great diversity of landscapes and climates. The tourism sector is the heart of the department, with numerous lodgings, camp-sites, ben and breakfasts or hotels, especially in the south of the region. The north of Ardéche is characterized by a temperate climate and beautiful hilly landscapes. Mostly rural, Ardèche is composed of 286 000 inhabitants for a square surface of 550 000 hectares, divided into 339 communes. The Pont d’Arc, the Gorges de l’Ardèche, Chauvet cave, the Mont Gerbier de Jonc, the Ray Pic waterfall are just some of the wonders that this department offers. 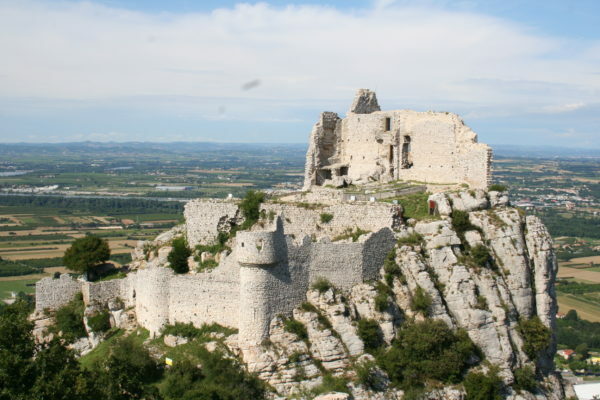 The diversity of its landscapes makes it one of the foremost regions for French tourism. Listed as a “natural reserve”, the Gorges de l’Ardèche is the jewel of the department. 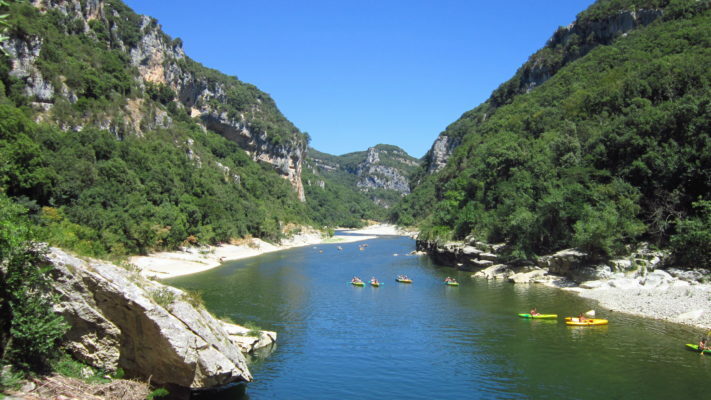 It is a canyon of about thirty kilometers located between the Pont d’Arc and Saint-Martin d’Ardèche. The Gorges de l’Ardèche is composed, above all, of breathtaking and high-perched landscapes where each new crest brings with it a brand new wonder. Whether it is to admire the incomparable natural beauty, take a long hike or even indulge in canoeing or kayaking to fill up your thrills, this is the place for you. 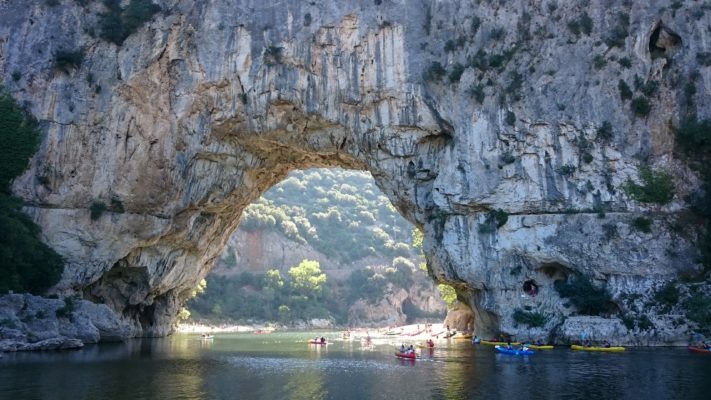 The Pont d’Arc is an imposing natural arch that stands in the middle of the Ardèche river. The bridge reaches a length of 60 meters and a width of 54 meters. Not only can you have the thrilling experience of witnessing this unique landscape, you can even canoe in the river that flows beneath it. Visitors can take full advantage of the direct contact with this work of art that has been naturally carved out by the Ardèche river. 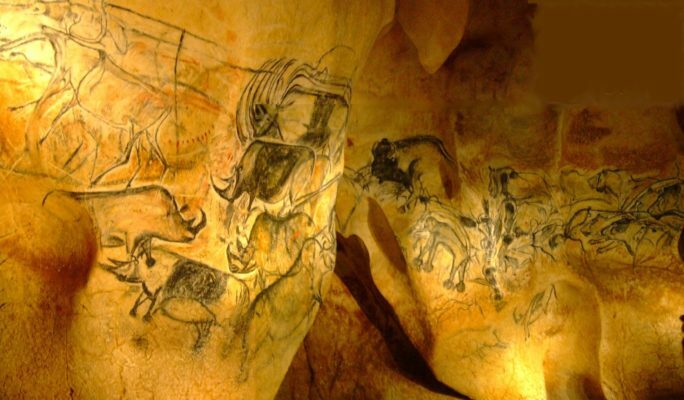 It is also conveniently located near other popular tourist sites in the region such as the Grotte Chauvet-Pont-d’Arc or the Gorges d’Ardèche. Overlooking the Rhone Valley, Crussol Castle is imbedded in steep rocks that offer a panorama of immense beauty. 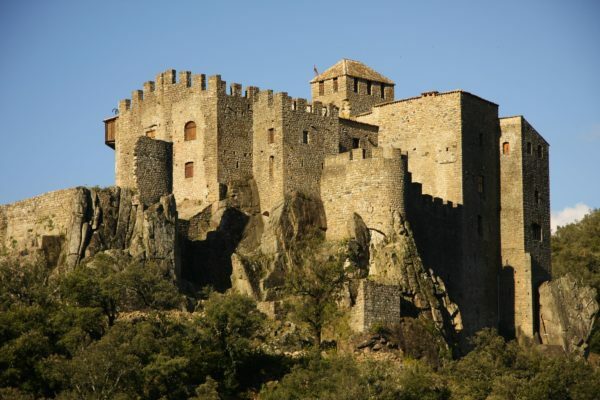 This fortress was built in the early 12th century and has suffered through the ravages of time. Despite this, it remains an expressive illustration of the region’s history. Covering an area of 3 hectares, the fortress was once a busy point of communication. It is the ideal place for sport lovers and nature lovers. The castle is surrounded by protected meadows and unique wildlife. This Paleolithic cave was only recently been discovered. The inside is decorated in a multitude of drawings that give us an idea of what life could have looked like at during that time. Special events are organized every year on the occasion of the festival of science and All Saints day. This cave is a gateway to the center of life, only 36,000 years ago. Topping off at over 1500 meters off altitude in the heart of the central massif, this volcanic mountain is unique because of its unusual shape and the presence of the longest river in France, the Loire, at its base. Both the shape of the mountain and the diversity of the nature that surrounds it has appealed to enough tourists to make this spot the second most visited in the region of Ardèche. It hosts a multitude of traditional events, which offer a chance to get closer to the local culture. Hiking and climbing will also allow you to reconnect with the authenticity and flow of this mountain , with millions of years behind it. Ventadour castle, also referred to as Meyras castle, is located southeast of the commune of Meyras, in Ardeche. The castle is suspended on a rocky spur that is at a height of 373 meters. 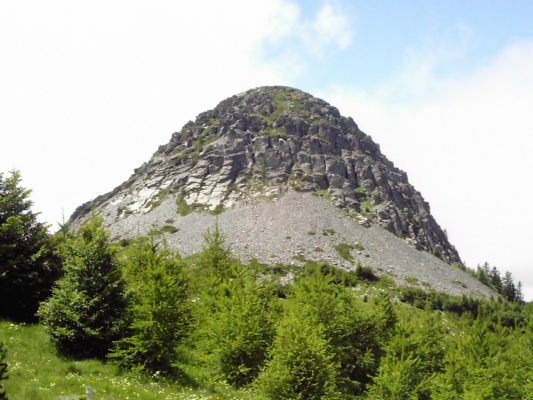 It is a ideal terrain for hiking and also offers the opportunity to hover above the surrounding region for a genuinely spectacular panoramic view. This castle also is unique in that it regroups architectural elements from several different centuries, which make the building a virtual gateway for time travel. Typical Ardèchoise cuisine draws inspiration from the department’s rural setting. Eating well is a major focus. For the longest time, the two basic staples of the Ardèche cuisine were chestnuts and potatoes. Chestnuts eventually led to an excellent cream of chestnuts, which proudly represented the Ardéche region abroad for decades. 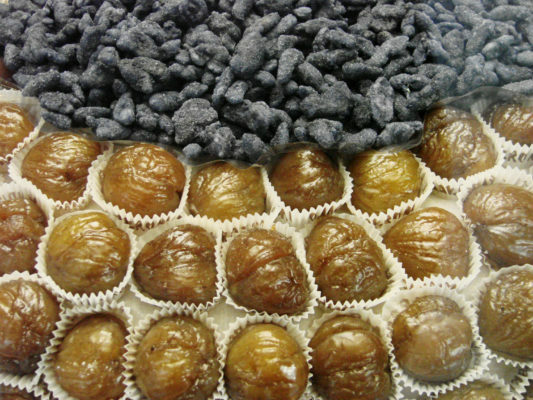 It also evolved into candied chestnuts, composed of only the largest chestnuts, which are then sweetened and candied or the Ardéchois, a delicious cake made with chestnut flour. 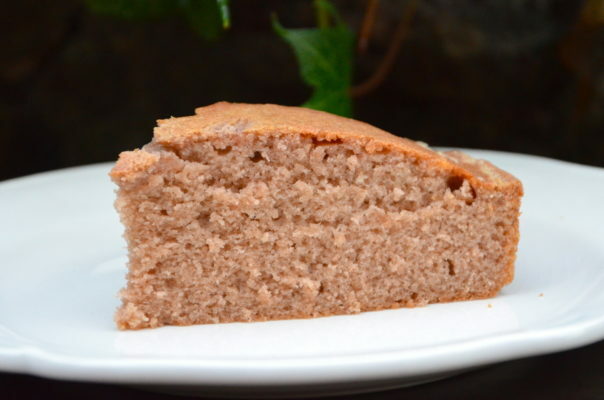 This cake is perfect for gluten free diets, containing only almond powder, brown sugar, chestnut cream and some candied chestnuts. 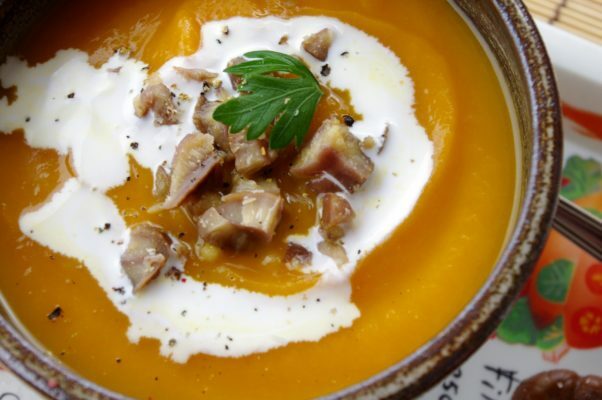 Finally, who can forget the chestnut soup, known as “cousina”, a small velvety hot dish which is served at the start of most typical Ardèche meals. 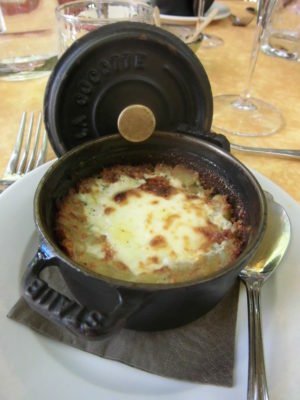 The potato, a local product which in Ardèche dialect is referred to “lo tartifle” is used in two typical Ardèche dishes: the crique and the bombine. The Ardéchoise crique is an unmissable part of being in Ardèche. 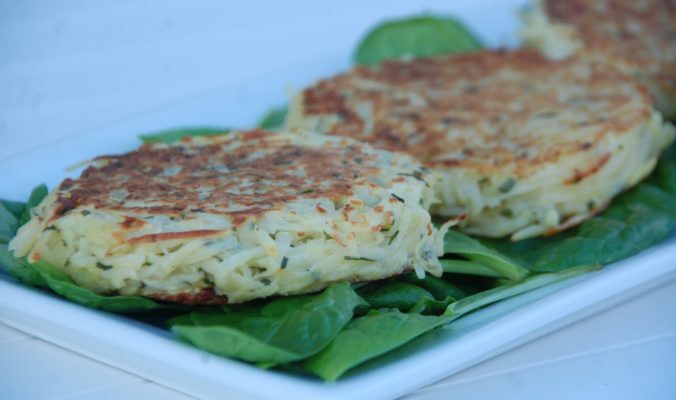 It is a sort of potato cake that holds a special significance to this particular region. It can be purchased at the caterer, in the markets and every single restaurant will offer it! The Ardèche crique are generally served with a salad. They can be a full dish or a side, paired with meat, cold cuts or even fish. The recipe is always a bit different depending on the cook, you can eat like a king for almost nothing! Some enthusiasts tned to add grated bacon or onion to the dish. In the olden days, the bombine Ardèche was a frugal way to manage potatoes. Often referred to as poor man’s dish, it was a staple for many normal ardéchois citizen. The dish itself is easy to prepare since it must simmer gently without being turned, so that the potatoes melt without getting crushed. This dish is synonymous with parties and conviviality. It is also often the dish that is chosen for any organized festivities in the department. The cold cuts, sausages, pâtés, ham, sausages, and caillettes (minced meat mixed with cabbage or Swiss chard through a strainer) can be found on a table in Ardèche for each and very meal of the day. Depending on the season, you might even see the famous Ardèche ceps. Picking these delicacies in the woods and add parsley and garlic to taste is one of the great simple moments of pleasure in life. These locals festivals are an essential part of the summer in Ardèche. In the different villages, popular balls, refreshments, shows, or even sometimes carnivals, are organized. Learn French Faster. 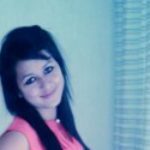 Get Ofrench weekly language tips! These Parisian Concert Halls Are Legendary!